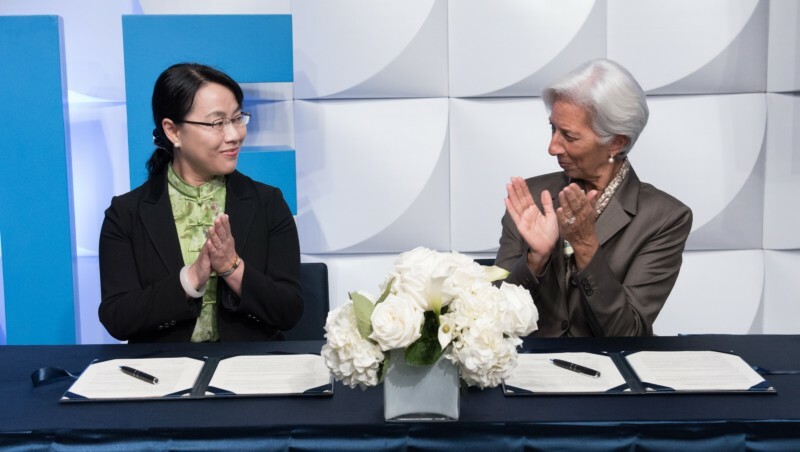 WASHINGTON, D.C., USA, October 11, 2017- The ASEAN+3 Macroeconomic Research Office (AMRO) and the International Monetary Fund (IMF) have pledged to enhance cooperation to respond more effectively to the needs of their common membership in a Memorandum of Understanding (MOU) signed today in Washington, D.C., by AMRO Director Dr Junhong Chang and IMF Managing Director Madame Christine Lagarde. AMRO and the IMF share common objectives of maintaining macroeconomic and financial stability in Asia, in addition to strengthening capacity building for common member economies. 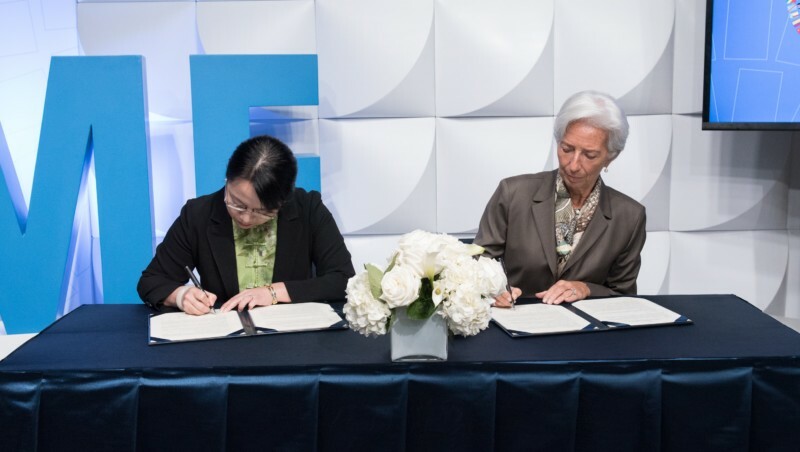 Under the MOU, the two institutions will continue to promote regional and global financial stability through advancing cooperation and leveraging on each other’s expertise. Specifically, the two parties will continue to exchange views on common members’ economies, provide training and staff exchange opportunities for staff, enhance the capacity building of ASEAN+3 member economies in macro-economic management, and carry out joint activities that contributes to the global and regional financial safety nets.